Are you worried that your car is misfiring on load or on idle? Misfires are one of the most common problems when it comes to modern gas engines. The spark has a critical job inside the car engine. There are a lot of different things that could cause a misfire, and it’s not easy to troubleshoot if you do not know where you should start to look for it. In this guide, we will go through the engine misfire symptoms, different causes and how you should troubleshoot it the best way. We will start with the various symptoms! There are several different symptoms that you can feel when it comes to engine misfirings. Here are some of the most common symptoms. When a misfire occurs, you can feel it like a light or massive jerk coming from the engine. These misfires do often come under load from the engine, and you have the most load on the engine when you are accelerating on higher RPMs and higher gears. Rough acceleration is a typical sign of that your engine is misfiring. Sometimes the engine will misfire on Idle also, and your engine sensors will get faulty values, and the air-fuel mixture will get messed up. This can cause a very uneven idle which can jump up and down and the engine may also shut off on idle. A car engine is very balanced from the factory and often with balance axles and different tricks to get as few vibrations from it as possible. When one cylinder is not firing correctly, the engine will get unbalanced, and this can cause heavy vibrations inside your cabin on acceleration or at idle. Modern cars have great monitoring for all the different car sensors on the engine. If one sensor is failed or if one sensor is feeling that something is not quite right with the engine, it will send the information to the engine control unit. When the engine control unit receives the data, it will decide if the problem is serious or not. If the problem is occurring several times, the engine control unit will light up the Check engine light, to make sure that it will notify you that something is not right so you can get it repaired. As we discussed before, misfires can cause the O2 sensors to get faulty information and generate a too rich or too lean mixture. Too lean or too rich mixtures can cause lowered acceleration and even put your car into limp mode, which will cause the vehicle to not rev past 3500 rpm’s, and it will shut off the boost pressure from the turbocharger. If you are a bit into cars, you have probably noticed that there is a difference in sound from different engines. V8 engines have a very different tone than a four-cylinder engine. If your 4-cylinder engine is misfiring on one cylinder, it may sound like a three-cylinder engine. If your cars sound is extraordinary strange, it’s most likely misfires that you could hear. So, now when you might suspect that your engine is misfiring, where should you start looking for the problem? Well, from my over ten years of experience in cars, here are the most common causes of engine misfires: Ranked from the most common to the least common. The entirely most common problem when it comes to misfires is the ignition coil. 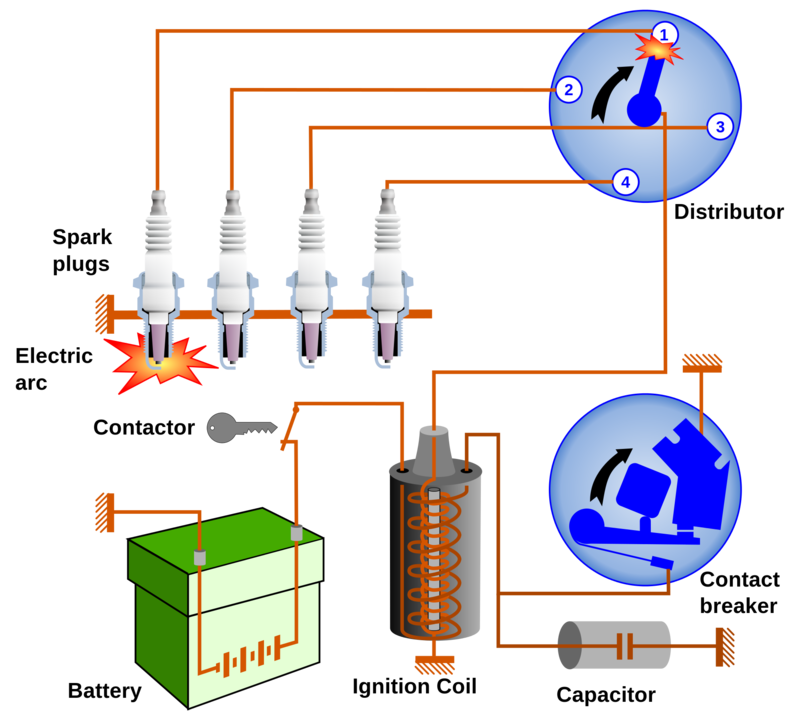 Some vehicles have a separate ignition coil on each spark plug, while some cars have one coil with a spark cable to each spark plug. Older cars do have a distributor and in some cases also an ignition coil. 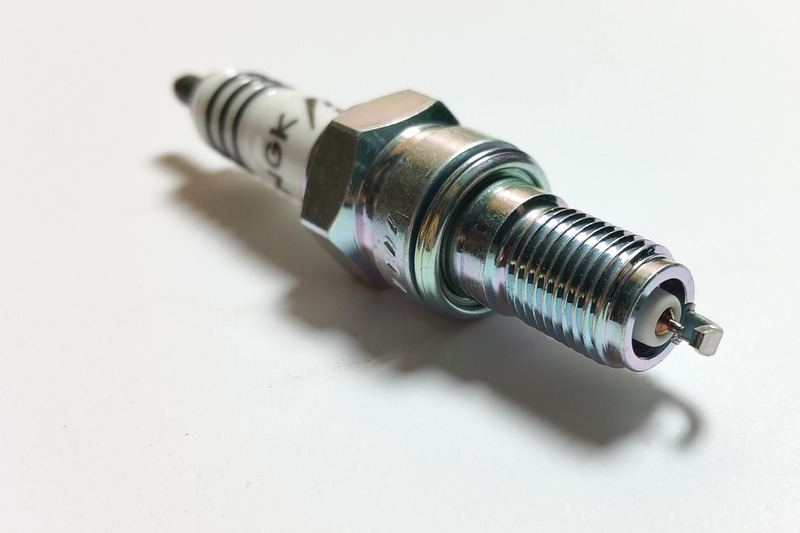 If you have separated spark plugs, unplug each coil to see if you can find out if any cylinders are not responding. Replace if you find one faulty or have a trouble code stored for one ignition coil. 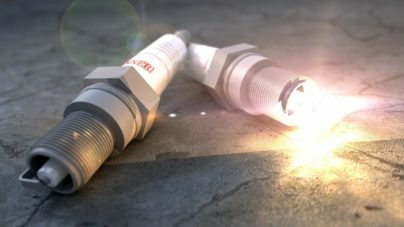 The second most common cause of a misfire is bad spark plugs. The spark plugs are firing up your cylinders, and they can get worn over time. Spark plugs are often very cheap and in most cases easy to replace. If you can’t remember the last time you replaced your spark plugs, it’s probably time to replace them. If you want to learn a bit more about spark plugs check this out: Spark Plugs symptoms. Intake leaks near the cylinder heads are also very common when it comes to spark plugs. This problem was a lot more common in older cars without steel gaskets for the intake. So, if you have an older engine, you might want to check this. If you have a newer car, check for any other signs of leaks around the intake manifold gasket or the intake. Check for broken vacuum hoses. Low fuel pressure could be caused by a faulty fuel pressure regulator, a defective fuel pump or a clogged fuel filter. Low fuel pressure will cause lean mixture in your engine which will result in misfires on all cylinders. If you have trouble codes for misfires on all cylinders, you do want to check your fuel pressure. Another problem which was more common five years ago was the injector problems. A faulty fuel injector will cause your engine to misfire, and these can be pretty difficult to diagnose without flow testing them. 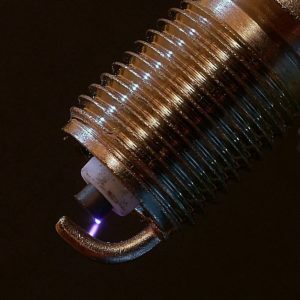 Injector problems are not very common on newer cars, and because of this, you want to check out the other possible causes first. If you have checked everything else, it’s most likely that you have low compression or other damages inside of your engine. A faulty timing belt could also cause low compression and you want to make sure this one is correct first. If you’re going to learn a bit more about how to check this, scroll down in the article, and you will find more information about it. Is It Safe to Drive When The Engine Misfires? When a misfire occurs, the air-fuel mixture that entered the engine will come out from the engine unburnt. On modern cars, you have a catalytic converter that will reduce the emissions from the vehicle. The catalytic converter can have temperatures of 600 degrees when it’s working and what will happen when unburnt air-fuel mixture enters this thing? – Yes, it will explode inside the catalytic converter. Explosions inside of the catalytic converter can damage it, and it’s not very cheap to purchase a new catalytic converter. Instead from that, misfires can damage other sensors in the engine like the O2 sensors. So, I would never recommend driving an engine that is misfiring for any long distances. Short distances to your mechanic workshop without putting a load on the engine is fine, but do not ignore the misfires and keep driving. To find out what a misfire really is, we have to go through the basics of the car engine first. Here you will see a good picture of how your pistons and crankshaft are moving inside the cylinder when your engine is running. The pistons are pushed down by an explosion inside the cylinder. When the piston is pushed down, the crankshaft is spinning. The engine is working in four steps, that’s why this engine type is called a four-stroke engine. The piston goes up, emptying the burned air-fuel mixture through the exhaust pipe. How does the engine control module know when a misfire occurs? The engine control unit can detect a misfire in some different ways, depending on what car model and engine you have. The engine control module is using a lot of sensors to know when to ignite the spark plug and when to inject the fuel into the cylinder and to optimize the air-fuel mixture. To detect a misfire, the engine control module is often using the crankshaft sensor to detect a misfire. The crankshaft sensor is measuring the position of the crankshaft and calculates the rpm (Revolutions per minute). The crankshaft sensor uses the camshaft sensor to detect which of the cylinders that are up in the top and are ready to be ignited. When the pistons are pushed down, there will be a little speed increase of the crankshaft. If the crankshaft sensor is not recognizing that increase of speed, the engine control unit will save a trouble code on that cylinder which the misfire occurred on. Sometimes the engine control unit cannot detect which cylinder the misfire occurs on and it will put the DTC code P0300 (random misfire). Some engine control modules are using the resistance of the ignition coil, and when an ignition does not occur, the engine control unit measure it through the wirings, and it would result in a DTC code. This function is not as regular as the crankshaft sensor detecting thought. To diagnose a misfire or several misfires, we have to go through all steps to check all the parts that could affect anything of this is in good shape. But some faults are more common than others and it could save you a lot of time to start in the right direction. I work as a car technician, and I will write a short guide on how I’m doing when I’m trying to solve misfire problems. If you find any DTC codes in the DTC code memory. Write them down and clear the DTC memory, you are going to need them in the next step. Now when you know what DTC codes you have. Search for some information of what the dtc code is telling to you. You should start in different ways in your diagnose, depending on what trouble codes you got. Case 1: You get a lot of DTC codes of misfires on different cylinders together with an air/fuel mixture related trouble code. In this case, if the engine is running roughly or bad on a specific RPM, you should start to fix the air/fuel mixture related trouble code, and that will probably cause the misfires too. If you have an air/fuel mixture related code together with the misfire code, always search for information about the code related to air/fuel mixture trouble code first. There are cases where you get air/fuel mixture related trouble codes due to misfires also, but it’s not as common. There are some general common causes that you could check for in this case. Start by checking for air leaks around the intake, check for cracked hoses. You can use brake cleaner or start gas to spray carefully around the intake when the engine is at idle. If the RPM is raising, you have an intake leak somewhere there. Remember that those sprays are burning very easily so be prepared with a fire extinguisher in case it ignites. If you are getting a trouble code on a particular cylinder all the time or just trouble codes without another related trouble code, you could continue this guide. This problem is much easier to fix, and I will talk more about it in the next step. Now it’s time to start to check the ignition. Because in most cases the problem is caused by a failing ignition, that’s the step we are going, to begin with. If you have an older car with distributor ignition. Always start by checking inside the distributor, it’s very common that the distributor is worn out. If you are feeling that the engine is running rough at idle and if you have a newer motor with separate ignition coils, you could let the engine idle and then unplug one coil at a time. Remember that these ignition coils have very high voltage and you should be really careful. When you unplug one ignition coil, and you can’t feel any difference in the way the engine is running, you have found which cylinder that is misfiring. 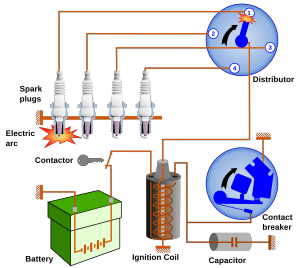 You can use the same procedure with older cars that are using a distributor ignition by unplugging the ignition cables until you find out what cylinder the car is not running on. When you have ignition cables, don’t use this method while the car is running if you are not very careful and uses the right tools. If you are unplugging the wires with your hand without any safety, you will get a lot of voltage through your body. Always use either the right tools or unplug them with the engine off. If the problem is still on the same cylinder, you could do the same with the spark plugs. Move the spark plugs between two cylinders and see if the problem is moving. If the problem is moving, Replace the spark plugs. Now if you have tried to move the spark plugs and coils between the cylinders but the problem are still there in the same cylinder, you have to check if you have spark. If you don’t have any spark on that even if you are moving coils and spark plugs between the cylinders, you have to get a wiring diagram for your engine to start to check if you have power and ground etc. to your coil. This step is more complicated and I will not write about it here. If your spark is OK, but the engine is not running on that cylinder, go to the next step. To do this, you can let your engine idle and listen around the intake gasket if you can hear some strange noises from leaks. You can use some starter spray or brake cleaner and spray around the intake gasket if the engine revs up while you are doing that. You got an intake leak there, and you have to fix that. Intake leaks do not often make the engine to not run at all on that cylinder, it would have run roughly on that cylinder or other cylinders instead. But it’s easy to check, and it could be a possible cause. If you didn’t found any intake leaks, go to the next step. Now when you know that the spark is okay but it’s not running on that cylinder, it’s time to check the compression on all the cylinders. To test the compression you can use a tool like this: Check it out on Amazon. If you see that you have very low compression on the cylinder that the car is misfiring on, put some oil in the cylinder with low pressure and test again. If you still have low compression, there is not much more to do, you have to go deeper into your engine. You have to check the valves, valve shims, and the piston rings. You can also check the camshaft timing, but in that case, you often got low compression on all cylinders. If your compression is OK, it’s time to go to the next step. Now there is only one possible cause left, your engine is not injecting any fuel on that cylinder. In this case, where you are not getting any fuel to only one cylinder, you have a new car with injectors. Because if you had an old engine with a carburettor, it would not cause the engine to not run on just one cylinder. Start by unplugging one connector to the injector on that cylinder that is not running. Check if you got 12-volt power on one of the wires with the ignition on. Check with a multimeter. The other wire is grounded by the engine control unit, and not that easy to check if it’s working properly. You could use a diode light to see if it’s coming any ground on that wire when the engine is running, but I recommend that you use an oscilloscope and you will probably not have one at home. You can also check the fuel pressure, but in that case, it would probably run badly on several cylinders. If you got 12volt to the injector and if you are reaching the injectors easily, you can use the same procedure here as with the ignition coils. Switch between another cylinder to see if the problem is moving. If your problem is still there, you have to get access to an oscilloscope and check the ground signal from the engine control unit. Now, I hope that you have found your problem. If not then you have to go through this guide step by step one more time and if you really can’t find the problem. Contact us, and we will try to solve your problem and see if there is some step that you missed. I hope that you have learned something and that you solved your misfire problems. If you have more questions or want us to add or edit anything in this article, you can comment down below and I will answer your questions as fast as possible. My 1997 Sebring run good , as long as I stay under 65 . If I get on the highway at 70 , It does not take long to get the check engine light. Code says multiple misfire’s . but I don’t feel or hear any misses . Was told it might be the fuel sending unit . Inject not getting fuel , so cylinder does not fire , so get misfire code. Is this possible ? Yes it sounds like lean mixture caused by either low fuel pressure or vacuum/boost leak. I would start with checking for any leaks around the intake and connect a fuel pressure gauge if possible!